Then we have updated the profile pics of the team! Look here. For the 3d time we made Playa del Ingles in Gran Canaria our loocation for training camp. Here we can find all possible courses, from flat and windy to hilly, always in a comfortable temperature of about 20 degrees. The whole team except Kirsten and Lauren was gathered, for 10 nice days. The traditional hill time trials and flat individual time trial tests showed that the girls are in rout and have made progress. On the rest day we found time for photo shoot with the new Doltcini race clothes and the Scott leisure clothes. 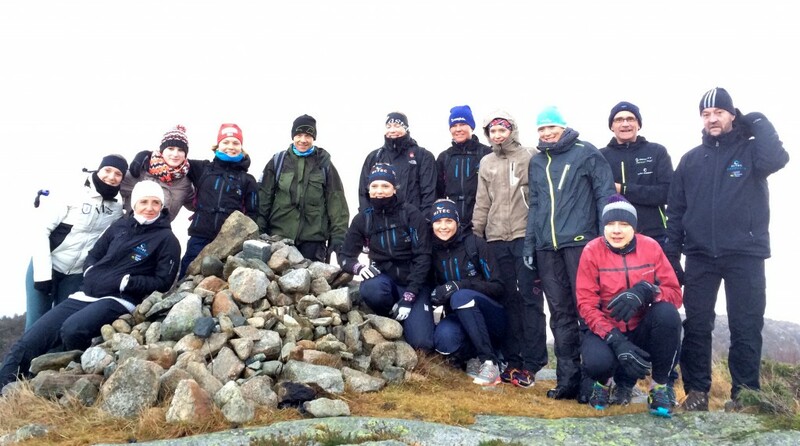 The 2015 Team Hitec Products was on a nice mountain hike outside of Stavanger today! See photo. The stage race was a difficult affair for the small team. After the 3 first races week 1, everybody got sick, and barely made it to the start. Miriam never recovered and only started 2 stages. 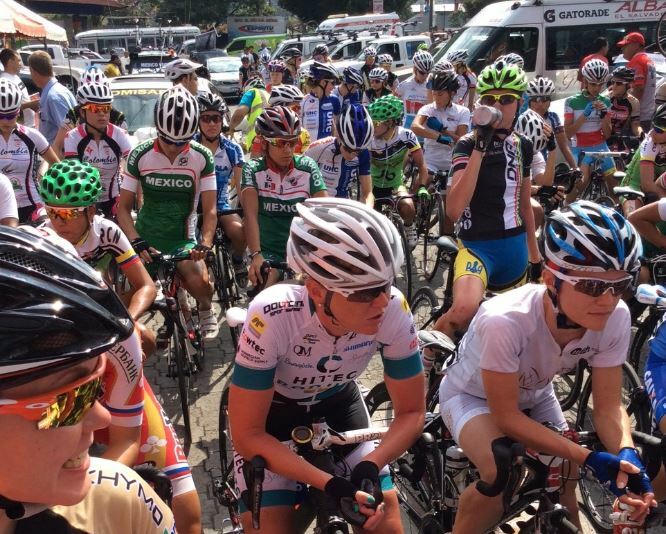 We came a little short in the brutal final climbs that almost all stages finished with. 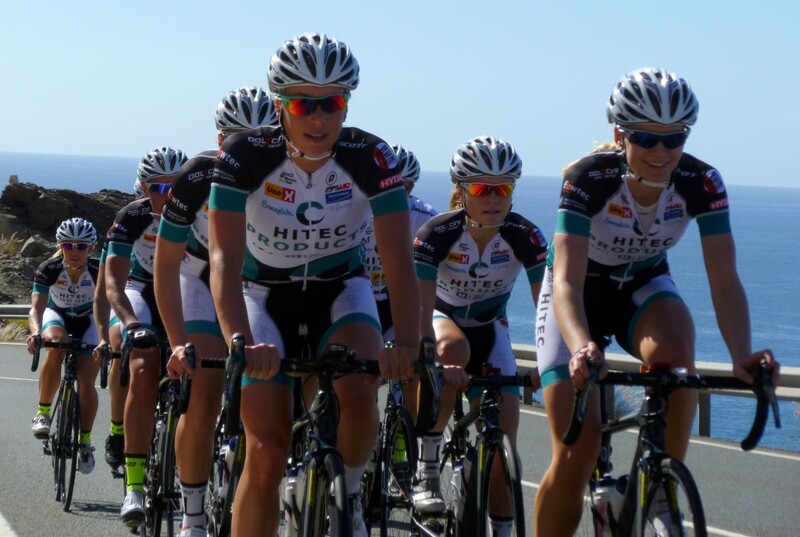 On the last day Tone and Siri pulled a nice sprint for Cecilie to finish in a 6th place.